HomeblogBusiness Tools3 Great tools to help you get organised, prioritise workloads & manage your time! It seems that some of the common traits that a lot of us share are our inability to organise, manage our time effectively and prioritise our workload… Because let’s be honest, we’re too busy “doing” to organise exactly what it is we’re actually doing, we don’t have the time to think about managing our time, and every deal is a priority, right? What opportunities am able to close on this month? Have I done everything that I can to get them over the line? What else can I do to move them along? What new opportunities are in the pipeline for next month? 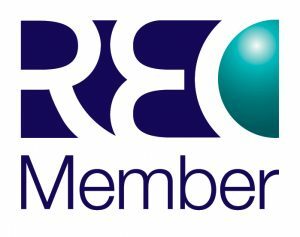 What does my prospecting list look like? Which new prospects shall I add to the mix? What new marketing ideas should I employ to drive more business? What admin tasks have I still not got round to completing? What the hell is happening to my ever increasing inbox?!!! Add to that the ongoing dilemma: this week’s dinners, gifts I need to buy for my son’s friends birthday parties (why are there always two on the same weekend!?! ), who I’ve forgotten to get Easter Eggs for, what on earth did I change the iTunes password to? Suddenly, I’m in a whole world of pain!! Now don’t get me wrong, I love a to-do list. In fact, I have lists on the go for pretty much every aspect of my work and personal life, but my problem is that I’m a serial scribbler!!! I have lists on a whiteboard, on every device that I own, and every notepad within reach (and herein lies another problem, I’m a stationery geek too, so have a notepad for every occasion/project/corner of my life!). I start every month, week, day with a head full of intentions and an “organised” list of things to do! I even keep my phone next to my bed because the brightest ideas always seem to pop into my head just before I go to sleep, and if I don’t add them to the “a list” there and then, well a sleep deprived night is certainly on the cards! And the problem with having a million to do lists?? Nothing actually gets done! Sure, I’ll tick off a few things here and there but there’s certainly no real prioritising, and more often that not, tasks roll over from one day/week/month to the next. I feel like I’m constantly fighting a losing battle, but hey I must be reeeeeally busy because just look at the lists (plural!) of things that I need to get done! Right?!? I may be busy all the time, but I’m certainly not effective all the time. I’m recognising this now more than ever as I’ve just closed on my figures for this financial year. I’ve been so focussed on closing as much as I can the past few weeks that I’ve literally been running 100mph and not stopping to take a breath! I’ve had a fantastic couple of months and exceeded the targets that I’d set – don’t get me wrong – I’m not complaining. But now that I’ve stopped and I look – feeling exhausted – at the aftermath that I’ve left and the lists upon lists that I’ve created, I know that I cannot start the new financial year in the unorganised, chaotic way that I’ve finished this one!! Targets are going up (for all of us I’m sure! ), workloads are increasing, but there are still the same amount of hours in each day. So ask yourself the question… Are you happy with what you always get? That may mean for you, exceeding targets, finding a better work-life balance, or being able to invest the time you need into your team. If like me, your answer is no then you need to do something different to achieve different results, and that starts with making some changes to start maximising your productivity. So to help you with this, here are 3 game-changing tools that have literally transformed the way in which I work, that I hope you’ll find useful too. Trello is a collaboration tool that organises your workload/projects/pipeline/team (you name it Trello organises it!) into boards that help you work more efficiently and get more done. In other words, it’s the mother of all To-Do lists! A Trello board is a list of lists, filled with cards, used by you and your team (yep you can even assign team members). It enables members to be added to a board to discuss a task or project in real-time keeping everybody informed through task assignments and email notifications. Open a card and you can add comments, upload file attachments, create checklists, add labels and due dates, plus some other great features. There’s no software to download, just signup and login. 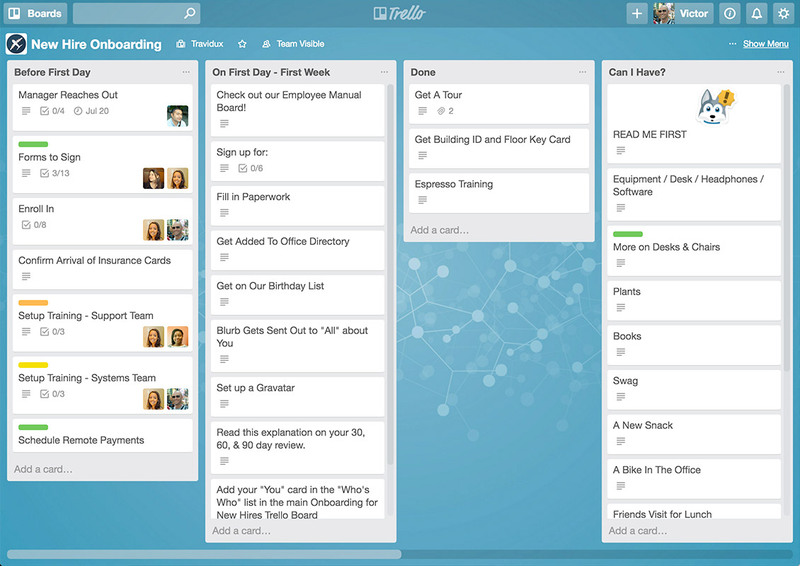 Bye, bye note pads and all your inefficiencies… Helllloooo Trello! And the best bit… It’s FREE! If you’re anything like me, you’ll relate to this. I often start off with a few tabs open and the more I Google or search online for one thing, the more I get distracted with other articles/blogs/prospect sites that I hadn’t intended on visiting, and before you know it I’ve got 20 tabs open and have forgotten what I was searching for in the first place! All useful info that I want to explore further, but we are on a time management mission here people so we need to park all that info and stay focussed on the task in hand! Queue Evernote Web Clipper… In one click it literally lets you capture full page articles, web pages, selected text, images and important emails and store them all in one place, so if you’re constantly saving articles for later in your browser’s bookmarks, desktop, or have a hundred tabs open at the same time them this one’s for you. It allows you to add and manage a multitude of notes easily thanks to notebook, tags and note links. A “note” can be a photograph, file attachment, piece of formatted text, full webpage or even a voice memo and all can be edited with comments, annotations, tags and then exported. You can organise and save them with other related notes or projects and Evernote’s Web Clipper also integrates with Google, so for example…any related Evernote clippings will show up in the search results to remind you of what you have already liked and saved. Evernote is great for storing as well as saving. You could use it to store things like Business Cards, Receipts, brainstorm sessions and even whiteboard notes from your meetings. With their free account, you are able to sync your “notes” across two devices i.e. 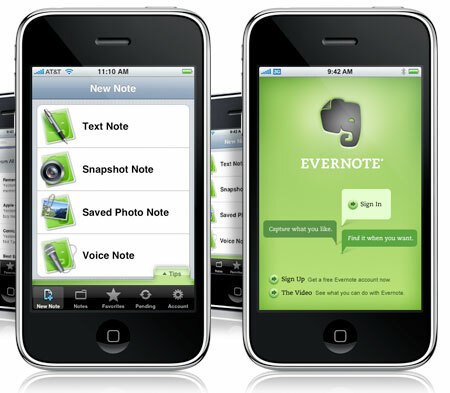 your phone and your computer, and it lets you make notes on the go and find information stored anywhere at any time, and the more you add the more useful Evernote becomes. Pipedrive is designed to help individuals and small sales teams manage complex or lengthy sales processes. If you’re looking for a prospecting tool that’s quick to set up, easy to understand and downright intuitive, then Pipedrive is definitely the tool for you! 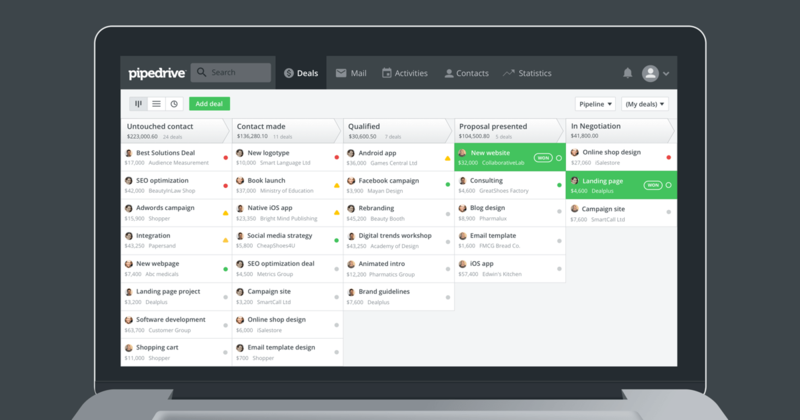 What I love most about Pipedrive is its simplicity and its ability to organise my business leads in a way that gives me a clear and visual overview of my pipeline. It allows me to focus on priority deals and develop an individual approach for each of them without wasting too much time. One of Pipedrive’s most-helpful features is the icon that appears next to each deal in your pipeline. At a glance, you can tell if you have any activities scheduled that are associated with this deal, if you are behind on your scheduled activities, or if you still need to follow up… So in other words, it gives you a prompt, or virtual kick up the backside, which we all need at times. They’ve also just launched a new feature called Activity Scheduler to help you avoid adding existing appointments to your calendar and double-booking. Nice. OK, so this one’s not free, but at £8 per month for a full CRM tool (did I mention you can also store all your customer contacts, details and notes) it’s pretty damn cheap! 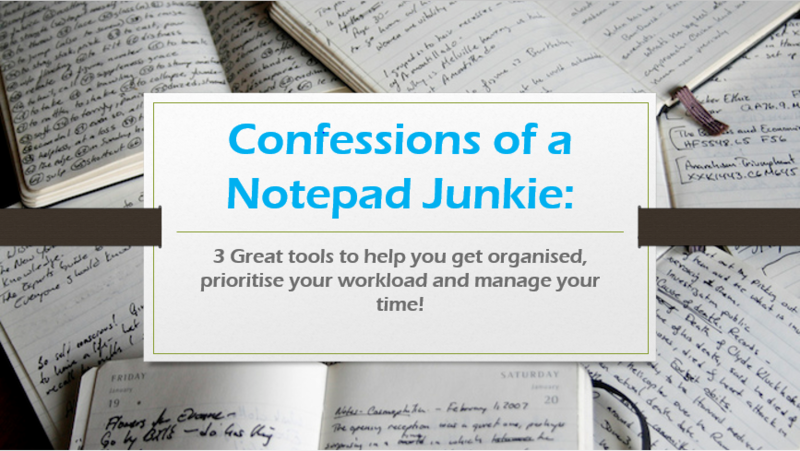 So now you’ve got the tools it’s time to clear the decks… I hope these will help you to get organised, prioritise your workload and manage your time in a far more productive way. Spring is here so let’s wipe the slate clean, and get focussed on creating a year ahead that’s going to be even bigger and better than the last one!